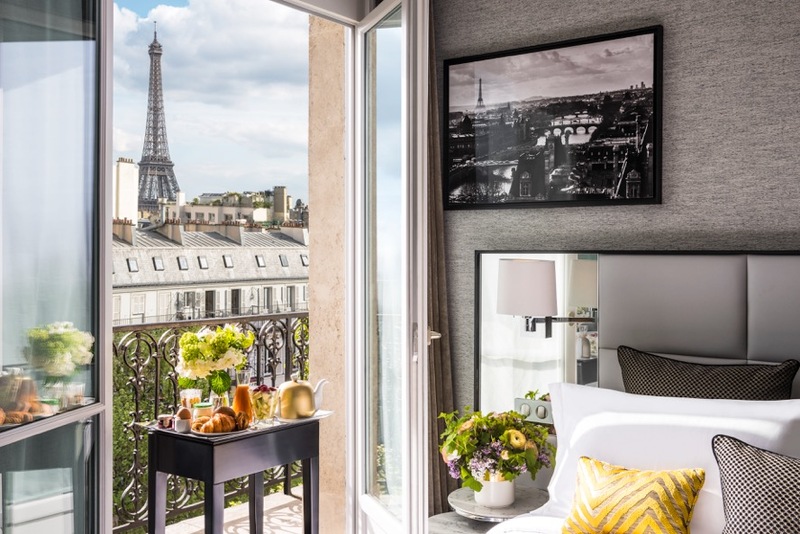 We are proud to inaugurate our Hospitality Collection with an iconic property, originally a private home built in 1892 by architect Paul Lorin with the help of Gustave Eiffel whose famous tower can be seen from Suite 602 on the sixth floor. 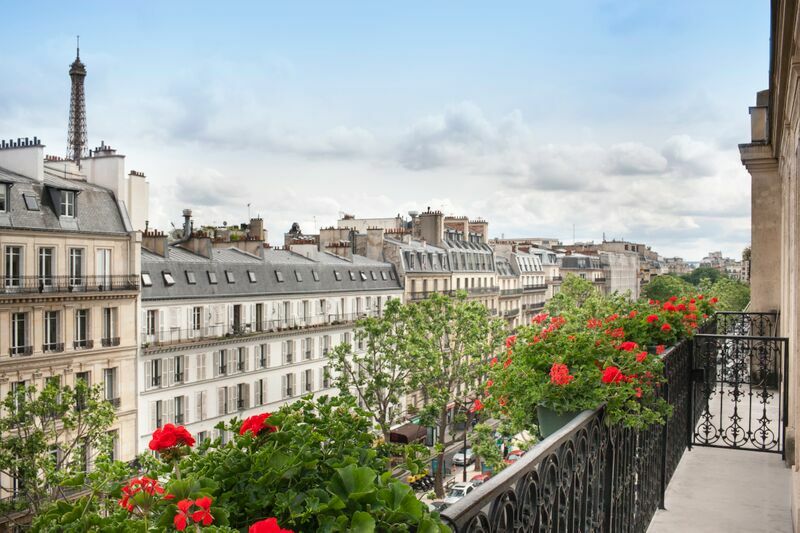 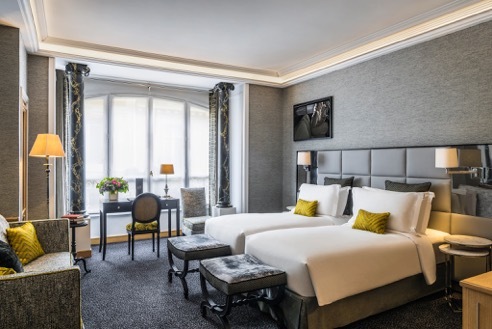 Let’s discover together this romantic 5-Star Boutique Hotel which I believe you will greatly enjoy in your next visit to Paris, the City of Light. 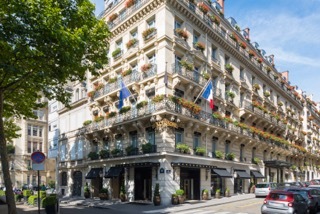 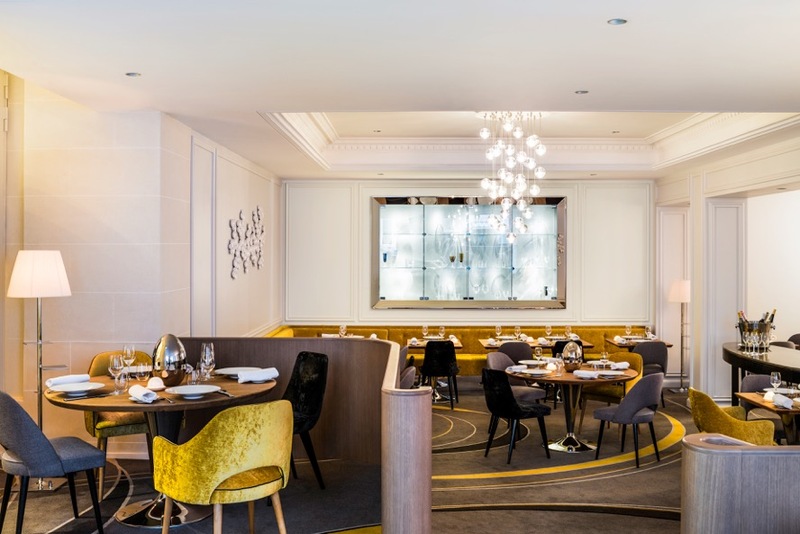 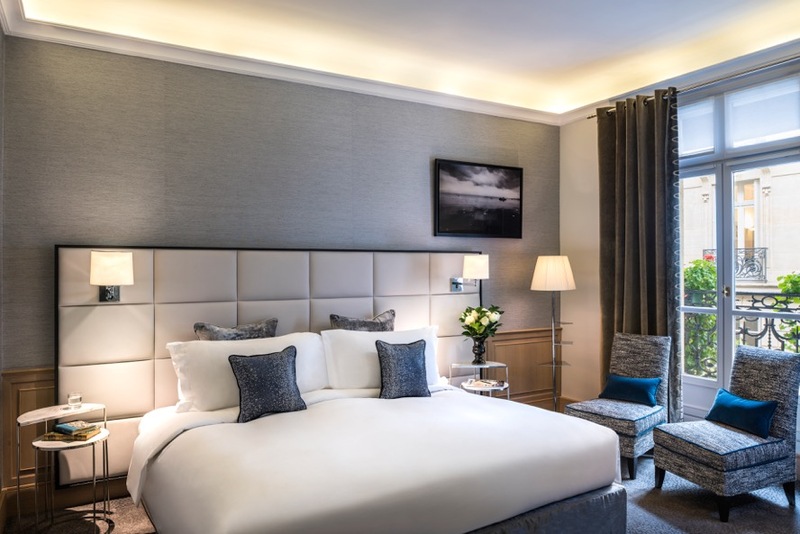 Ideally located within walking distance from the Champs Elysees and the Trocadero district, the Baltimore Eiffel Tower Sofitel is our selected “Home away from Home “ for all our members and friends, "golf and bike” fans, visiting Paris for business or leisure. 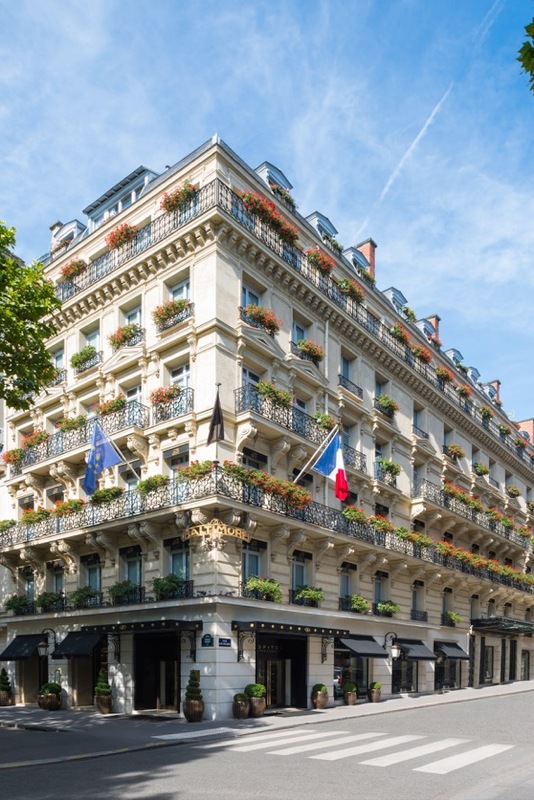 Converted into a hotel in the 1920’s, at the time Paris was transformed into a dizzying hub of fashion, peace and celebration. 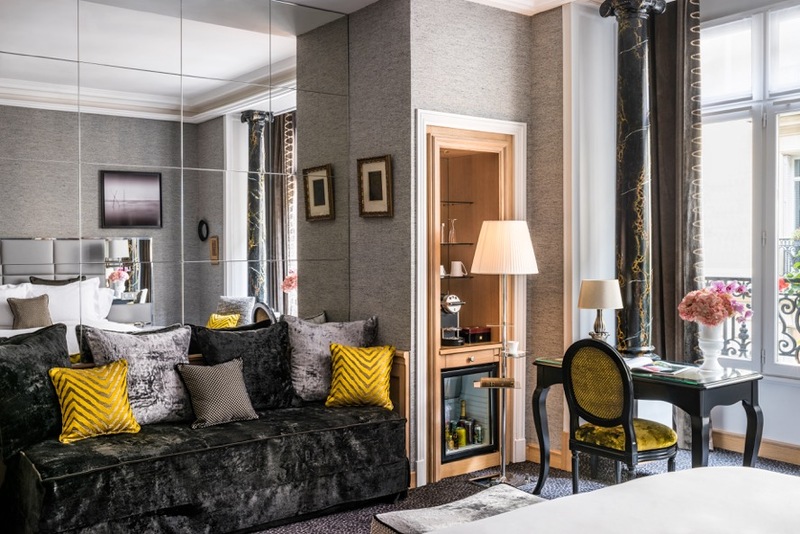 This tradition is indeed kept during all “Paris Fashion Weeks” with major Couture Houses staying at the hotel each season and enjoying its ambiance, elegant service and privacy. 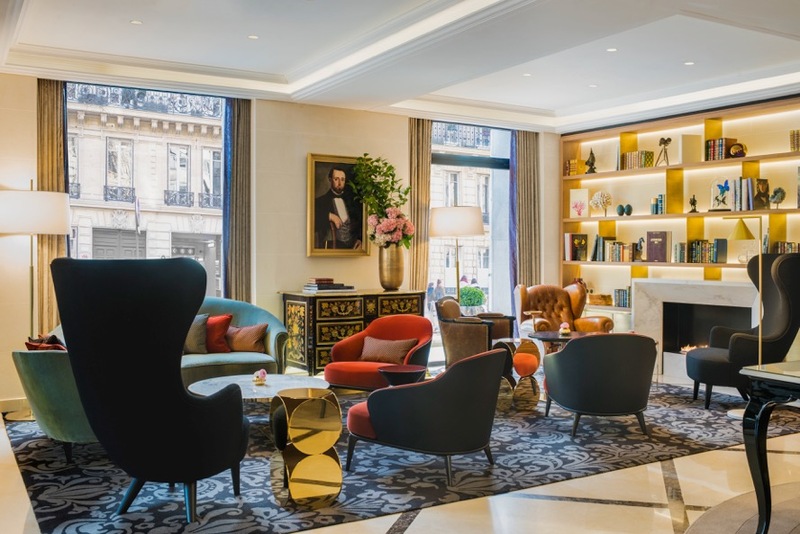 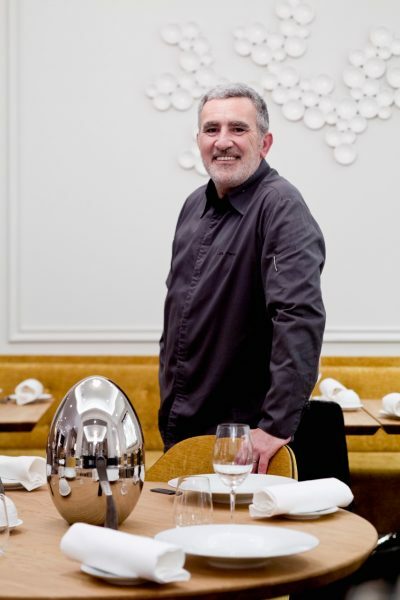 With only 103 rooms including 28 suites, the Baltimore retains an intimate “luxury boutique” feeling, and its Parisian chic, greatly helped by a dedicated staff committed to full guest’s satisfaction . 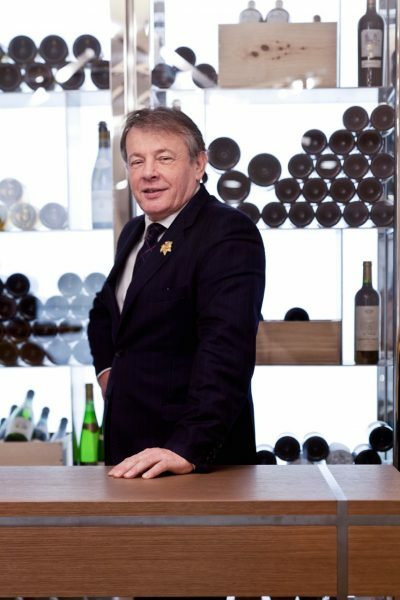 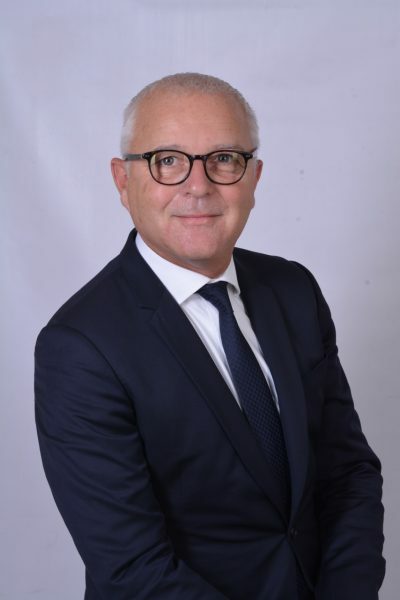 Attention to details and under great management led by Franck Poncey, General Manager , highly contributed to the hotel’s reputation. 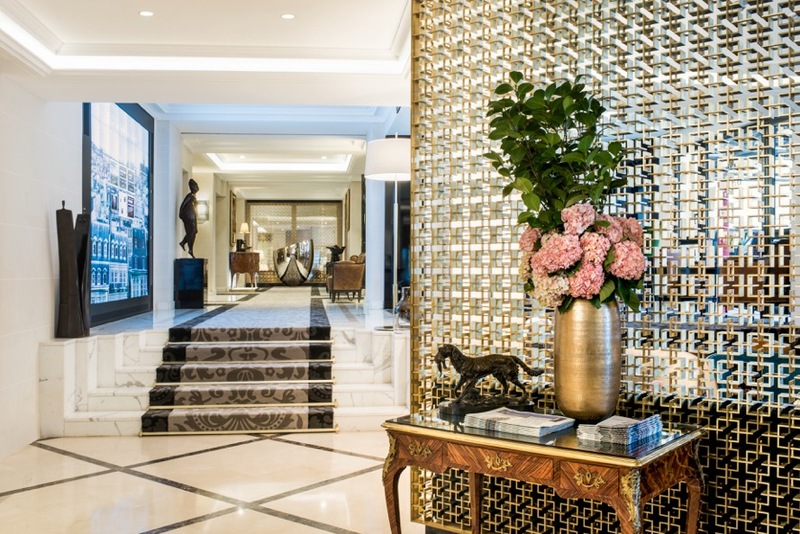 Pets are welcome, and treated like royalty … a sign of distinction worth to be mentioned for their lovers. 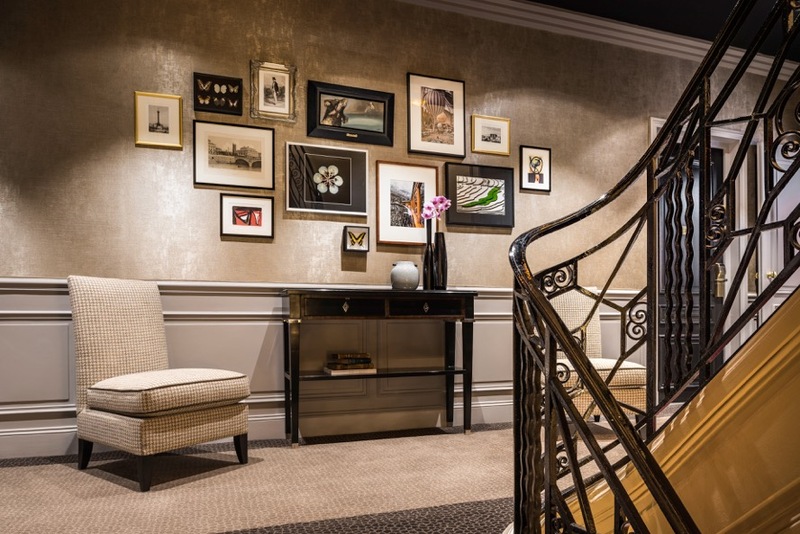 Pictures worth a thousand words …..
A real sense of arrival and elegance in your Parisian "Home away from Home” . 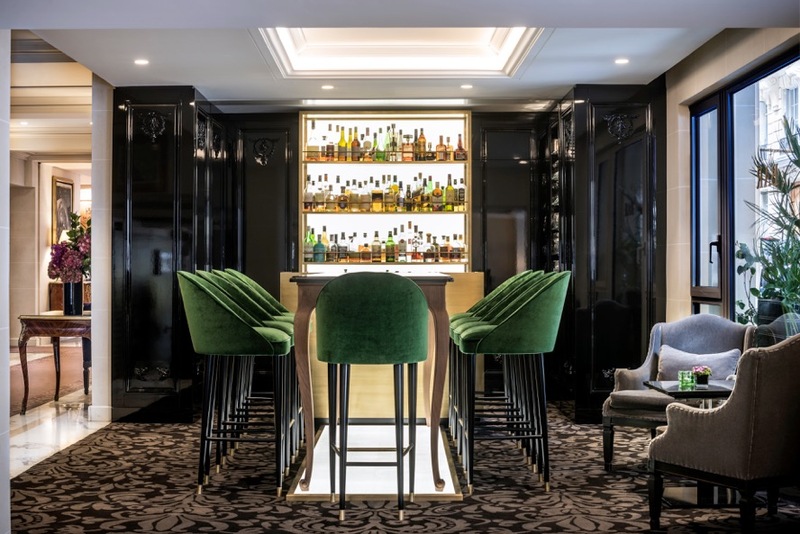 Happy Hour is a Must at the cocktail Lounge …. 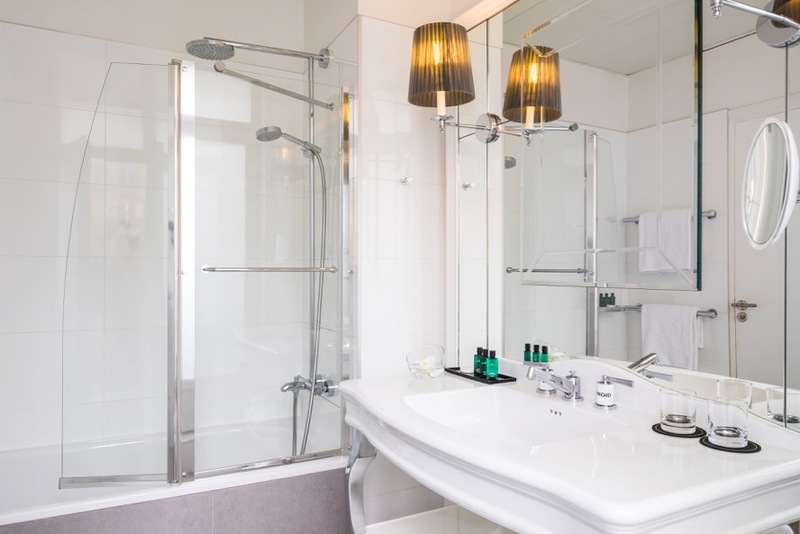 Iconique suite 602 with direct view ….